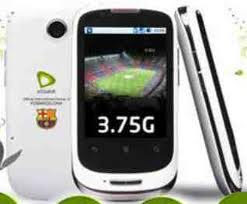 Etisalat Nigeria has slashed the price of the Gaga smartphone that runs on Android OS. The price used to be N19,999, then the price was changed to N13,999 but you can now get one for N9, 999. I can tell you that it is great phone to have at this price. Get more details about this phone by clicking here.